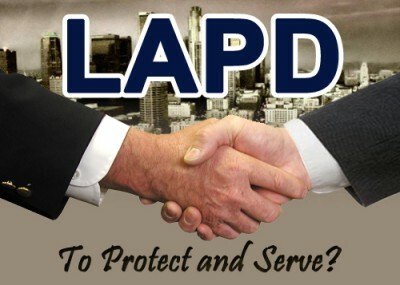 Few local law-enforcement officials in the United States have proven themselves more Islamist-friendly than Los Angeles County Sheriff Lee Baca, whose department has been dogged by allegations of malfeasance in office, and the Los Angeles Police Department's top deputy handling counterterrorism issues, Michael Downing. Downing has expressed a benign view of the Muslim Brotherhood, the Egyptian-based fundamentalist movement which seeks a global Islamic Caliphate as its ultimate objective. During a May 2011 town hall meeting, he acknowledged the group is operating in the United States, but his biggest concern was "not to demonize the Brotherhood here." Downing has expressed a much darker view of American critics of Islamism and shariah law, suggesting they pose a threat analogous to that of Islamic jihadists. In remarks to the "Festival of Interfaith Unity" meeting last year, Downing railed against Shariah, the Threat to America, apparently referring to this book produced by the Center for Security Policy. "One of my greatest challenges this year is this idea of two sides of extremism: The side of fanaticism and those who want to do violence on innocent people," Downing told attendees. "And the other side of the equation that want to instill fear in the hearts of the American people because they don't tell the truth." Baca won adulation in 2010, when he testified before a congressional panel, exploding at a question about the wisdom of his close relationship with the Council on American-Islamic Relations (CAIR), an organization with documented ties to a Hamas-support network. "CAIR is not a terrorist-supporting organization," he said. Anyone who says different is an "amateur intelligence officer." He has equally warm views toward the Muslim Public Affairs Council (MPAC), a group which routinely minimizes the threat posed by Muslim extremists in the United States and criticizes FBI sting operations against would-be terrorists. Baca praised MPAC boss Salam al-Marayati during a March 2010 town hall as "a great man of thinking and wisdom," telling him: "Thank you very much. You've been an incredibly important friend to me." Baca credited Marayati with "helping me improve my thinking." Now those sympathies are being realized in policies which some veteran law enforcement officials warn are equally misguided. Baca and Downing won plaudits from Islamist groups like CAIR and MPAC in recent weeks, with Downing getting praise for surveillance "reforms" that may limit law enforcement's ability to investigate suspected radical activity and Baca for making a deal with MPAC and like-minded groups on recruiting Muslim chaplains to work in county correctional facilities. A retired federal law enforcement officer who consults with local police agencies expressed concern that the surveillance agreement between Downing and MPAC could have a "chilling effect" on monitoring radical activities. He noted that MPAC issued a statement claiming that "Any reporting of incidents by law enforcement on individuals or groups must be connected to criminal activity." Pointing to the case of Nidal Hasan, who massacred 13 people at Fort Hood Texas in 2009, the retired official noted that radicals often try to avoid criminal activity before attempting to carry out acts of jihad. Prior to the rampage, Hasan's most troubling activities largely involved radical presentations to colleagues and postings on jihadist websites – activities protected by the First Amendment. If the new rules agreed to by Downing have the effect of preventing investigations of such activities, "the results could be catastrophic," the retired officer told the Investigative Project on Terrorism. Patrick Dunleavy, formerly a senior official with the New York State Corrections Department, says he is troubled by unanswered questions about vetting of jail chaplains as well as Baca's admission that he didn't know what was going on in jails he is responsible for overseeing. Baca's department has been under investigation by the Justice Department and the FBI over inmate beatings and other misconduct by deputies. Adding to his troubles, the U.S. Supreme Court recently ruled that Baca can be held personally liable because he was told about the jail violence and took no action to prevent it. Baca complained that his commanders kept him in the dark about the problems. "I wasn't ignoring the jails. I just didn't know," he told the Los Angeles Times. "People can say, 'What the hell kind of leader is that?' The truth is I should've known." Baca's administration of the jail "has been fraught with corruption and mismanagement of security," Dunleavy observed. "In light of the Justice Department investigation of systemic abuses, can we really trust his administration to conduct proper vetting of religious workers or volunteers?" The sheriff needs to explain who should be responsible for vetting organizations and individuals who want to come into Los Angeles County jails to work with Muslim inmates, Dunleavy said. He noted that Baca has vehemently defended CAIR even though the FBI cut off relations with the group, saying "until we can resolve whether there continues to be a connection between CAIR or its executives and HAMAS, the FBI does not view CAIR as an appropriate liaison partner." That decision was based on evidence including the presence of CAIR founders on an internal telephone list for a Hamas support network called the Palestine Committee, and CAIR's inclusion on a meeting agenda involving the committee's front organizations. If Baca doesn't accept the FBI's word about CAIR, then "who will he accept? Would you accept the word of MPAC?" in deciding who is suitable to work with Muslim inmates, Dunleavy asked. Given the apparent disarray in Baca's department, unsuitable applicants could be "rubber stamped," he said. That's something he saw happen with Warith Deen Umar, former New York State Corrections department chaplain. Baca's statements, including his rabid support for CAIR, raise questions about his ability to recognize radicals. He has included Iran on a list of Islamic countries that are not interested in supporting terrorism. "The truth is that no Islamic country that I've been to" in the Middle East "is interested in supporting terrorism, including Iran," Baca said at a February 2011 MPAC Capitol Hill forum. The State Department has long expressed a very different view, calling it the world's "most active state sponsor of terrorism." At the MPAC forum, Baca stressed the need to work with Islamist groups as "our way of saying that Muslim Americans, at least in Southern California, are part of the protected fabric of America. " These organizations had joined in forming a local "Congress" of Muslims, Baca said, alluding to the Muslim American Homeland Security Congress (MAHSC). The group's "core values" are "justice, moderation, education, peace and cooperation." And Islamists in Southern California have embraced Baca. He "is our champion, is our hero in defending our country and in defending us against McCarthyism in our era," Marayati said at the same meeting. Marayati's MPAC colleague, Maher Hathout, gushed that when Baca defended CAIR, "he actually was defending democracy of America." Hussam Ayloush, director of CAIR's Los Angeles office, apparently quoting Baca's aggressive defense of CAIR in congressional testimony, stated: "These were amazing, amazing words. We commend the sheriff for standing up for American values. We commend him for that. I know he also stood for what protects our country. He refused to play politics into (sic) national security." Like Baca, Downing, is also an advocate of "outreach" to Islamists. Speaking at an April 2011 LAPD-Muslim Forum, Downing boasted of his efforts to ignore the role of Islam as a motivating factor in jihadist efforts to attack the United States. "I've been talking for 20 minutes and I never used the term 'radical Islam.' The terms that I use are 'violent extremists,'" Downing said. "You can be as extreme as you like. But when it turns violent, then it does break the law. And I did not use [the term] 'radical Islam.'" Downing received MPAC's Community Leadership Award at its annual convention in December 2010. It "honors individuals and institutions whose relentless work has contributed to the empowerment of the Muslim American Community and the society at large," MPAC's Haris Tarin said. "It is this tireless work of these individuals and institutions who partner with MPAC on a daily basis that allow us to amplify and strengthen our message." In the May 2011 interview in which Downing cautioned against demonizing the Brotherhood, he portrayed the group as a politically diverse organization, likening it to the Democratic and Republican parties in the United States. "Just like Republicans and Democrats have a more conservative and more liberal [ideology], that's what we have" with the Brotherhood, he said. Not everyone shares Downing's benign perspective regarding the Muslim Brotherhood's "diversity." Just days after he made these comments, it issued a statement in Arabic criticizing Osama bin Laden's death in a U.S. military operation as an "assassination" and hit the United States for not bringing the terrorist leader to trial. The same statement defended "resistance" (violent jihad) as necessary for innocent people to defend themselves against "oppression," as "is the case of the Palestinian people and Israel's Zionists." Kemal Helbawy, at the time a senior Brotherhood official based in Britain, praised bin Laden and suggested he was falsely accused of plotting the 9/11 attacks, which Helbawy said were actually "planned" by Americans. The Quilliam Foundation, a British research group dominated by former Islamists, said the reaction to bin Laden's death "is a reminder that the Muslim Brotherhood is a deeply problematic organization whose attitude to mass-murder and terrorism is problematic at best." "Helbawy's statements are the latest example of senior Muslim Brotherhood members giving different messages to different audiences. When speaking to mainstream audiences Helbawy presents himself as a moderate reformer; when speaking to Islamists he praises Osama bin Laden. This doublespeak undermines trust between Muslims and non-Muslims and hinders genuine efforts to tackle extremism and terrorism." Downing's comments came at a time when the Brotherhood behaved in an increasingly aggressive fashion, contradicting earlier assurances that it would not attempt to dominate Egypt politically. For example, after pledging not to contest more than a third of seats in Egypt's first free parliamentary election in more than 30 years, some Brotherhood officials spoke of targeting half or more of the seats in Parliament. There were also reports that the group would form an alliance with hard-line Salafist groups – which contrasted sharply with earlier talk of adopting a more moderate, inclusive approach. Brotherhood representatives (who had previously indicated the organization would respect the peace accord with Israel) dropped the pretense of moderation. "The Egyptian nation believes that normalization of relations with the Zionist regime is among the most important issues which should be stopped completely," senior Brotherhood official Mohammed Habib told Iran's Fars News. "The Egyptian nation believes the Zionist regime is a danger threatening the national security of not just Egypt, but also other Arab countries." The Palestinian terrorist group Hamas is an offshoot of the Brotherhood. Hamas leader Khaled Meshaal traveled to Cairo in May 2011, where he visited the Muslim Brotherhood's headquarters and sat shoulder to shoulder in a display of unity with Muslim Brotherhood Supreme Guide Mohammed Badie, who said Egypt should move toward "continued unity against the 'Zionist' occupation." It wasn't clear whether Downing was aware of any of this when he likened the Muslim Brotherhood's disinformation efforts to Democratic vs. Republican ideological battles in the United States. In the same interview, Downing boasts about his knowledge of the Muslim Brotherhood. But he seemed to have been caught off-guard by a question about a Muslim Brotherhood document about a "civilization jihad" aimed at "changing life as we know it" in the West. Downing responded with a rambling discourse mentioning Brotherhood founder Sayyid Qutb and the Muslim Student Association and the fall of the Turkish Empire but ignored the substance of the question. At the 2008 terror-finance prosecution of five former officials of the Holy Land Foundation for Relief and Development, prosecutors introduced a 1991 internal memorandum outlining the agenda of the Brotherhood-linked Palestine Committee, which created to advance the Hamas cause in the U.S. The document spoke of a "Civilization-Jihadist Process" in which Muslims in America work to advance "a kind of grand Jihad" aimed at "eliminating and destroying the Western civilization from within." Downing and Baca are not the only senior law-enforcement officials in the county who appear to have a soft spot for local Islamists. In October, Los Angeles Police Chief Charlie Beck met with Muslim community leaders, including Muzzamil Siddiqui, president of the Fiqh Council of North America. The council issued a fatwa, which appeared on the LAPD website, declaring that Muslims would respect U.S. law, including the Constitution and the Bill of Rights, "so long as there is no conflict with Muslims obligation for obedience to God." Only today have I seen this comment by you, so pls excuse the delay in my response. I fully acknowledge the need for agencies like LAPD and LASD to interact with various communities, such as the Muslim community, as well as protect the rights of ordinary Muslims. After the event in question, I personally approached Downing's 3 officers because I had met one of them personally at a previous event at UC Irvine. I told them the same thing I had just related to US Atty Andre Birotte, that I agreed that American Muslims should not be targeted for discrimination. However, I told them that I had certain concerns about Imam Siddiqi and his mosque. Among other things that Siddiqi had hosted the Blind Sheikh, Omar Abdel Rahman, at the mosque in 1992 and translated a sermon promoting violent Jihad. Most of what I said, including a speech Siddiqi had made in Washington in 2000 was met with scepticism though it is on Utube. Downing came over and I told him about the Blind Sheikh, and that is when he made the statement I related. I later sent a letter to Birotte (after he had given me his card) and gave him everything I knew about Siddiqi. No response. I also objected to the fact that Baca, Downing and his crew sat there and listened to fellow panelists trash the NYPD and FBI-two brother law enforcement agencies. They also allowed themselves to be used for partisan political purposes by Sanchez, Waters and Chu. As to the LAPD officer taking pictures of the audience, you tell me what they were doing. Why did they do that? Were they looking for possible terrorists in the crowd or dangerous right-wing elements that janet napolitano warned us about? I don't know. You tell me. My point is that Baca and Downing are allowing themselves to be used as stooges by radical stealth jihadists like CAIR, Siddiqi, Mariyati and others. There is a vast difference between talking with all sides and making contacts/sources of information and actively promoting their propaganda. An pls don't tell me I know nothing about Law enforcement. You don't know what you are talking about. Bob Smith, I was at the same event as Gary and can attest to what he wrote. I understand the full uniform officers were likely not engaging in intel, and I don't think Gary suggested that. I have friends who are in law enforcement, and who work with a federal counter-terrorism task force. But what was most disconcerting about Downing, Baca, et al is that they all were in agreement, along with Siddiqi, that sharia is fully compatible with the U.S. Constitution. Their comments about the positive aspects of sharia are frightening, considering their position of authority. Video soon will be made public of the comments of Downing, Baca, and the rest, pending the private review of others who have significant concerns of comments made by publicly elected officials concerning sharia. If you also agree, along with Baca and Downing, that sharia can find a home in the U.S. along side our constitution, I suggest you to some deeper digging. God help us if sharia is allowed to establish a foothold on our land. So this super stealthy intel cop was using his cell phone to take pictures. c'mon does no one else find this funny? Do you know all the hundreds of ways cops and feds do intel? cell phone cameras in plain site is not it. Gary, you have some good conerns, but you loose credibility for sounding paranoid. Cops make friends with bad people all the time. Its how sources, and informants are often found, nurtured and devoloped.... or it could just be a community policing event. I sent the following to Baca - I suggest everyone else do likewise with all public officials. Note the P.S. The Council of American-Islamic Relations (CAIR) admits that it "pressures" politicians and other public officials to do its will. It is unfortunately obvious that many of you kowtow to this special interest, terrorist-related organization. Do you too agree with CAIR's agenda as follows? "I wouldn't want to create the impression that I wouldn't like the government of the United States to be Islamic sometime in the future… But I'm not going to do anything violent to promote that. I'm going to do it through education." "Ultimately, we (Muslims) can never be full citizens of this country…because there is no way we can be fully committed to the institutions and ideologies of this country." So, there's CAIR in a nutshell: Anti-American, subversive and treasonous. Do you support the HAMAS-linked CAIR in what its spokesmen say here? Are you seditious and treasonous as well? P.S. I understand that there's a website in the works upon which all public officials who have been dealing favorably with CAIR and the Muslim Brotherhood will be posted. A class-action lawsuit is also planned, I understand, to sue officials who have been comporting with the enemy. Grass roots organizations are also mobilizing to remove all public officials who have been behaving in this traitorous manner. LA county officials demonizing and alienating a large group of people that live in the area is not the best idea to gain their trust and cooperation. Should Baca and Downing announce that since terrorism is considered a threat from Muslims only (sadly by our racist government) the US should only monitor that single group and single it out to disregard their constitutional protections? on that same note, Baca should also notify the Black community that since blacks are often involved in gun violence they can all be searched at any time, for any reason, by any law enforcement official to prevent gun homicides. Also, the comments by the Egyptian Muslim Brotherhood come after Israel has terrorized and murdered Palestinians for the past century and stolen 93% of their country (Jews in Palestine owned just 7% of the land when Israel declared itself a state in 1948 on more thatn 50% of Palestine); killed thousands of Lebanese civilians in response to the kidnapping of 2 soldiers in 2006--on top of killing thousands more during the span of 2 occupations of Lebanon lasting a total of 23 years; killing several Egyptians soldiers in Sinai despite a long respected peace treaty by the Egyptians and cooperation in all of Israel's security demands with respect to Gaza. The list of Israeli aggression goes on that validates the MB's claim that the Zionist regime in Israel is a National Security threat to all Arabs. The US, while it claims it is not, is clearly at war with or is openly hostile mainly to Muslim countries: drone strikes and military activity in Yemen, Somalia, Pakistan, Iraq, Iran, Syria, Afghanistan, Libya. How can people not resist in any way possible to this? The Pakistani government has demanded that the US stop drone strikes in its sovereign territory, to no avail. More civilians die that militants, and with each strike more militants are recruited. Resistance is life or death. When the US realizes this, and ceases hostile and arrogant actions in the world, we may gain some friends that do not want to attack us. I recommend taking this into consideration for more objective writing that can actually address reality and promote discussion that can move America and the rest of the world forward in a peaceful and cooperative environment. The self-interested political games are not helping anyone; civilians are dying, history and lands are being destroyed, and the world economy has suffered. The US is in an economic bind that, had it not spend hundreds of billions on killing to get itself into, would be better prepared to invest and grow its economy.